Police Officer Jack Wardsley's life ended the moment his partner died, stabbed to death by a deranged druggie. Now, years later, Jack is a changed man, with a head full of secrets driving him insane. His recent record of police brutality and a reputation for not following the rules has prompted his seniors to give him an ultimatum: take a few weeks off, relax, and find some way to let go of all the anger - or else find another job. Ground Hog Day With Zombies!!! What will you do when the world ends? That's a question that needs answering quickly when the gates to Hell open up all over Earth. Taking place across the globe is an apocalypse like no other, and humanity will find itself at war against a smart and merciless foe. Follow the struggles to survive with several characters as things go from bad to worse. Humanity is dwindling. On a night when it begins snowing in every country of the world, an ordinary group of people gather at a rundown English pub to take shelter from the cold. At first they assume the weather is just some random occurrence, but as the night goes on, strange things happen, and it isn't long before the group begin to realize that something far more sinister is at hand than just the weather. Something that none of them could ever have imagined. By the end of the night, not everyone will make it, and those that do may wish they hadn't. Bring Your Own Blanket and Hot Beverage! Recommended! Horror fans won't be disappointed. After losing everything in a bitter divorce, Peter retreats to a secluded cabin in the Catskill Mountains, where he is trapped by earthquakes and months of unrelenting snow. 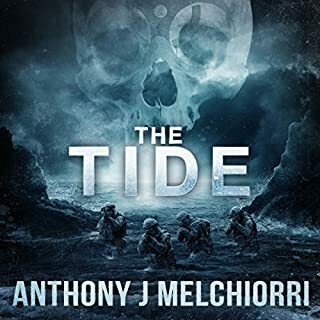 Just as he is convinced he is the only survivor of a mysterious global cataclysm, he meets a woman seeking refuge from a past she won't reveal. Her arrival rescues him from unbearable isolation, but when the snow finally stops and her secret catches up with her, Peter is forced to choose between saving her life and following his conscience. Edge of your seat thrills from the master of the zombie apocalypse. 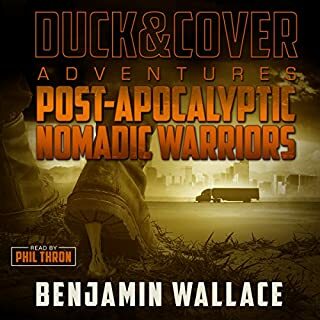 Also includes the Salvation Chronicles (find out about other survivors in different parts of the world). The world has crumbled, and the dead walk the Earth, but all is not lost. A group of survivors, led by weary veterinarian Anna and gruff loner Garfield, seek salvation at an abandoned pier where the dead can’t reach them. It's a place they might be able to call home, but then again, nowhere is truly safe. The dead are everywhere but aren't the only threat. Other people survived the apocalypse, and when an injured man turns up at the pier, it sets into motion a terrible chain of events. The world may have changed, but people haven’t. I received this audio book for free in exchange for my honest review. This is one of the best audio books I have ever listened to. It comes complete with ominous music and even sound effects. The writing and narration are both superb. Must read. There are actually 7 books connected in varying ways that culminates in this book. The order is Sam, ASBO, Final Winter, Housemates, Sea Sick, Ravage, and Savage. Each are stand alone but don’t miss a one. Probably my favorite set of books ever. It revolves around zombies but in a way that you think, this may really happen one day. Great story , the narration felt like i was listening to a tv show. The characters were well thought out and there is plenty of action throughout the whole book. The narrator did a great job with the voices . Each voice was distinct and interesting. They fit the characters and i could see them. Great book to add to your library. I don't understand why people feel it is necessary to add unnecessary and poorly produced sound effects and music to the narration of a book. it never sounds good and it always the tracks from the story. who ever produced and or directed The narration of this story should be slapped by the author. 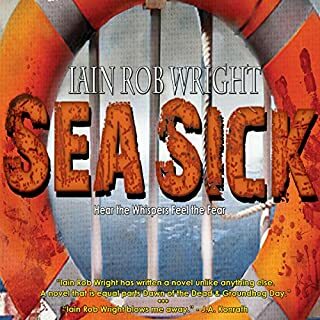 I do not understand why Iain Wright allows such poor production and direction of his novels. while this one is merely irritating at least it's not completely ruined like his novel Extinction was by the horrible narrator. however if this persists I'm a stop listening to his books all together. 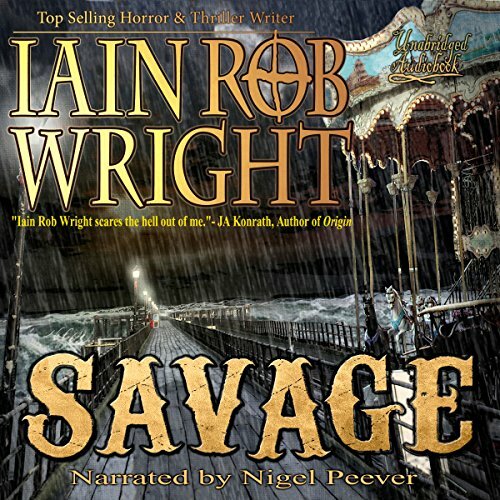 This was really good.The naration was great!Nigel Peever is the perfect narrator for this story.I was given this book by the narrator,author or publisher free for an honest review. 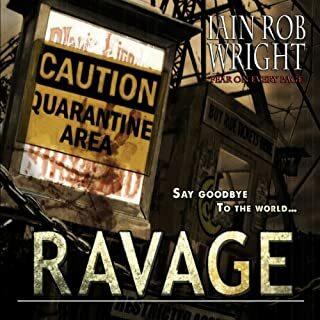 Excellent book, must admit I am a fan of Iain Rob Wrights other books. Narrator slightly off at times, but did not affect the story line. Recommend reading, and would love to see more of the characters in a future book. Always a good sign when you want more! 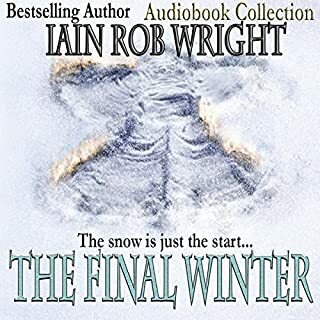 Firstly, I must say that Nigel does a fantastic job narrating the story; his characters are all individual and well defined with different accents and the background sound effects are very well done (and don’t detract from the story at all). 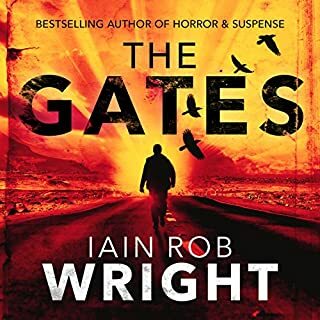 Unfortunately for me, whilst it was an enjoyable story, I had hoped it would be a little grittier and darker, as despite some gruesome instances, it seemed to have the feel of a easy-to-read adventure story rather than an intense gritty terror filled zombiefest! Although this is the third book in the series, I haven’t read the first 2, and at no point was I confused; it reads well as a stand-alone book. This is my honest opinion of a free review copy. Was so looking forward to the third book in this zombie trilogy. But oh no whilst the story is good, if not a bit same oh same. The narration is totally wrong and the sound effects laughable. Such a shame as the fist two books in the trilogy were fine in my humble opinion but the third? Sorry a poor panto. Keep writing the good stuff Though Iain. Enjoyed the first to audiobooks in this series, but sound effects and excessive use of accents ruined this one. It is an audiobook not a dramatisation. Found it really difficult to listen too.